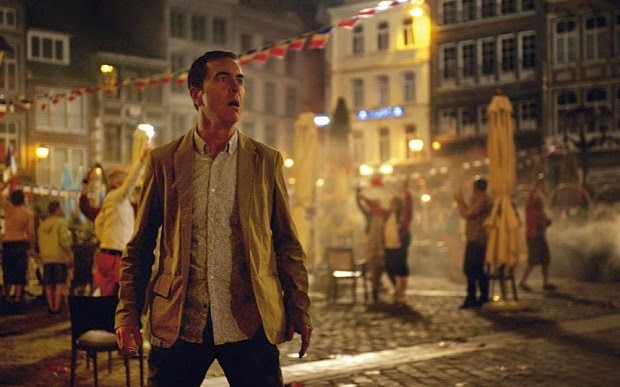 After a draining and heartbreaking finale, with actor James Nesbitt acting his socks off BBC One's 8-part drama The Missing reached its conclusion tonight. However, in a twist last seen at the ending of ITV's Broadchurch the BBC waited until after to reveal the credits to reveal plans of a second series to the audience. Little is known about the second 8-part series though it is expected to focus on a new case with new characters in a new location. The story is to maintain its dual timeline format. Bothers Harry and Jack Williams will return to write the series, a joint production between BBC and Starz. "We always knew the story of Oliver Hughes would have an ending. But in writing the first series we found there were many themes and issues we didn't have the chance to explore," the Williams brothers said. Starz Managing Director Carmi Zlotnik added: "The response to the show has been fantastic, and we're thrilled to be telling a brand new story which we hope will surprise and intrigue and tell an even bigger tale on an even more ambitious canvas." "The remarkably talented Williams brothers crafted a beautifully complex and heart wrenching story with The Missing and while the story, character and locations will be different in this new iteration, we anticipate the same captivating long-form storytelling and character development that critics and viewers have responded so well to."